If you are one of those bloggers that expect your blog to get found just because you hit the publish button, then think again. If you do not promote your blog effectively, don’t expect results. They are billions of other blogs out there in the universe, so don’t expect yours to be the one everyone comes running too. I personally do not even check out my favorite celebrity pages unless I remember to do so or I get some sort of notification. In order for people to find you, you need to put the effort into marketing and promoting your blog constantly. They are a few places to promote your blog for maximum impact. Did you know that blogging should be 20% content creation and 80% marketing and promoting? Before we get started on the free places you can promote your blog, we would love for you to join our growing Facebook group right here! You can also join our Pinterest group by scrolling to the bottom of this page! If you are looking for guest blogging opportunities or if you need a personal affordable coach to take you from A-Z, we can help you. Get all the juicy details right here! Have you seen our brand new shop! So where can you promote your blog after you hit publish? 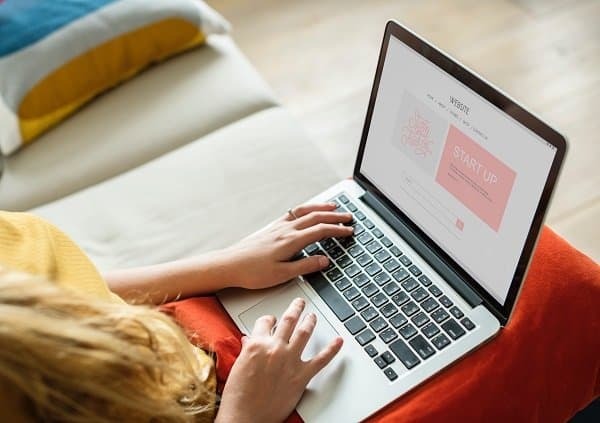 If you really want to increase website traffic to attract more readers, use this post to help you market your blog better. PS: You want to know more about going from zero to 200 thousand page views? 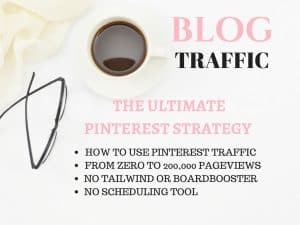 Read more about an amazing Pinterest strategy here! They are so many simple and easy ways for you to go about promoting your blog. We will show you 10 places you can use today promote your blog after you hit that publish button and we do this every time our blog post goes live. 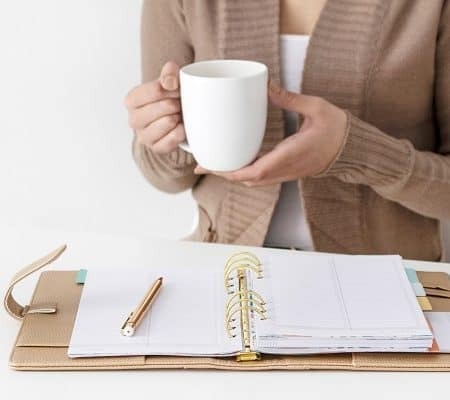 These are fantastic ways to get your work discovered, get more comments, shares, help in generating more blog traffic, email subscribers and potential sales. You just have to take the time to actively promote your blog on a daily basis. One more pro tip you can use to promote your blog is to do a round-up post of your popular blog posts. If you want to find the best way of doing this, you might want to snag Lena Gott’s Round Up FREE course. Just go to the very button of this link and click on the free trial “enroll in this course link” and grab your awesome FREEBIE. Go ahead and implement the strategies and you will get massive traffic in no time. 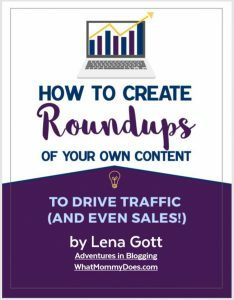 Roundup post is a great way of generating blog traffic all year round. If you are collecting emails on your blog which you should be, this is the best way to drive traffic to your new blog posts. A few ways to increase email subscribers is by offering FREEBIES, doing webinars or collaboration with other bloggers. Part of your marketing efforts could be to send out your most popular blog posts of the month. This is the best way to let your readers know about your latest blog posts and this encourages them to check it out and potentially share it as well as leave a meaningful comment. 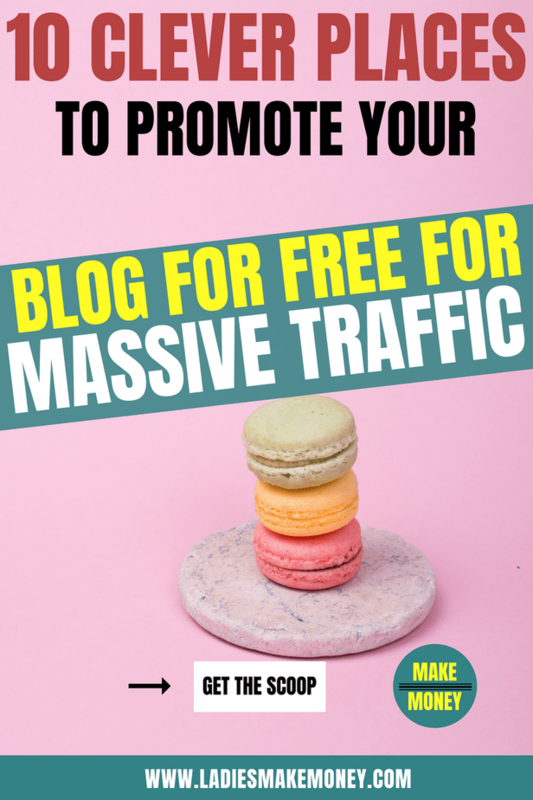 This is an amazing way of generating blog traffic. 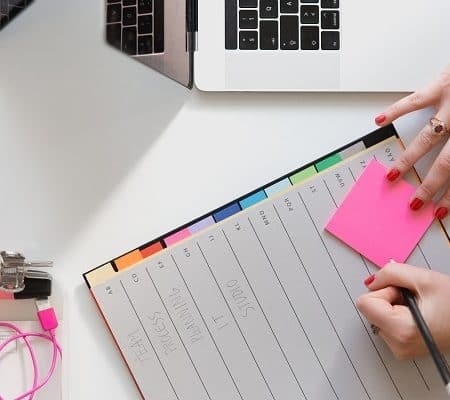 I send out a weekly newsletter to my subscribers and with this, I typically do a round up of the top blogs that I include as part of my email marketing. Please note: Do not only send your clients links to your latest blog posts but also provide valuable information otherwise your unsubscribe rate will be much higher. The more email subscribers you have, the more views you will get. Email marketing is the easiest way to promote your blog. Share your work with people you mention on your blog – If you mentioned a few bloggers on your latest blog post, don’t forget to email them with the link to the post. This will encourage them to share it with their followers and email subscribers. You can also simply ask them to share it. This is the best way to get more views on your blog almost instantly. This is a really easy way to promote your blog. Take it a step further by tagging them on social media and linking back to the post. Facebook groups – Speaking of groups, Facebook groups are the new thing in terms of generating blog traffic. Some groups offer you the opportunity to share your latest posts with their readers. Take this opportunity to get more eyes on your work. Not sure how to make Facebook groups work for you? Read this – How to use Facebook Groups for Business to grow your Blog! Updated: Do not participate in share links on Facebook. You can if the group is niched to what you typically blog about. Otherwise, it becomes extremely time-consuming. Instead, in order to effectively promote your blog in Facebook groups, answer and ask questions that are helpful to other bloggers. Where appropriate, add your link to assist further without spamming. This is the best way to increase website traffic to your brand as well as to expand your reach on who sees your work. Every blog post I write is automatically shared on Pinterest once I hit publish. One of my board is exclusively dedicated to pins from my website and blog. If you want to know more about how to use this social platform to get more traffic, then read this amazing blog! In terms of having a schedule and strategy, I use Carly’s strategy exclusively. With a few of my own touches but mostly her strategy and this has helped increase my traffic. You can also see exactly how I managed to get 19,000 page views to one blog post over a period of 30 days using all the resources I mentioned above. Update: Since Pinterest changed its algorithm a few weeks ago, I have minimized the number of pins I used to pin to groups. I have created and will continue to create my own niche boards and pin to them more. However, Pinterest groups are still an amazing way to promote your blog on social media. Pinterest Groups – This is the best way to really get more eyes on your work. Ensure you join groups that are relevant to your niche and post your blog posts on there at least twice a day (don’t post the same graphic over and over again. Pro tip: You can create multiple graphics for the same post. In fact, I try to create at least 4-5 images for my post. Not at the same time usually, I update my post once in a while and create more images. 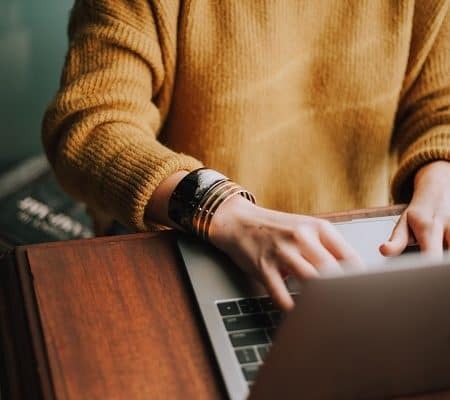 Leaving meaningful comments on blogs has proven to be the best way to promote your blog as well as to connect with other like-minded bloggers. The best way to go about this traffic generating boost is to comment on blogs that are relevant to your own niche. If someone asks a question, respond genuinely and ensure you are leaving a comment with a lot more sentences than, “great post”. Then attach a link to go with your argument or point of view. Do not spam otherwise your comment will be blocked or deleted. I have received page views just from doing this. Commenting on 30 blogs per week will increase your views and potentially earn you new subscribers. You might want to read Elna’s post on how to do blog commenting for traffic. 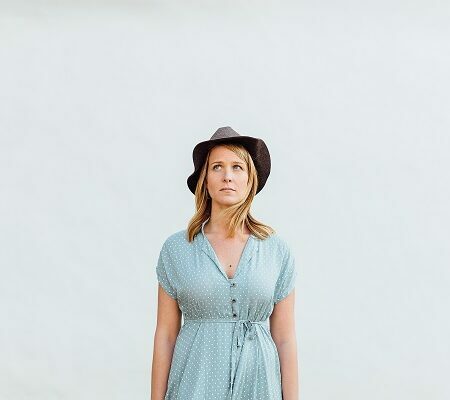 She shares two little unknown SEO Hacks for bloggers to help promote your blog for free. Want to run ads on your site to earn money: Use Media.net. 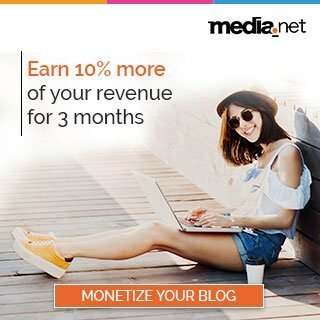 Best ad company, especially for new bloggers. I am now using Mediavine but you need a lot more blog traffic. I mentioned Facebook groups and Pinterest as the main ways that I use to boost blog traffic. These are the two that I consider extremely important and I don’t always view them as social media platforms instead I see them as marketing tools. You can share your work on other social media platforms such as Twitter, Instagram (put the link in the bio and a graphic directing readers to the bio) and Facebook pages for business to help promote your blog and get a little boost. If you want your brand to be known and seen, you better get social in order to help boost blog traffic. Remember social is interacting, don’t drop links and disappear! Interact with people, share other people’s work and they eventually do the same. When possible, you can also share your latest blog post on your personal Facebook profile (after all, how many friends do you have?). This will help boost blog traffic a little. I would highly recommend you get a Google Plus page for your blog today if you want to boost blog traffic. This is a page that is part of Google products and we all know how awesome Google is. Since I started posting on my Google Page, I saw a jump in traffic according to my Google Analytics. My blogs were showing up a lot sooner on Google searches. Be sure to give it a try. Google also has a community section. Find bloggers in your niche and share your work in the community section. It’s like a Facebook group but for Google. Don’t forget to use Hashtags and bold your keywords when you post on Google Plus. It’s the best place to promote your blog. I joined livinvia about 6 months ago and I love it. When you post your latest blog, they share it for you on social media (Twitter and Facebook groups.) According to my Google analytics, this site helps me with my blog traffic. It is not a lot, but a little goes a long way. Sign up for it for Free! These are the ones I use. I am sure they are few more others out there. It can be time-consuming but might help you in the long run. That’s why most bloggers suggest writing one great article per week and spending the rest of the week doing promos, newsletters, creating graphics, planning content and monetizing your blog. Do what works for you to promote your blog. Did we forget anything else? If you have some great places on where you share your blog to help with traffic, please let us know. We have taken an amazing course you can see here which will help explode your traffic! It’s an amazing course that shares in detail how she got 400,000 blog page views, which was worth every penny. 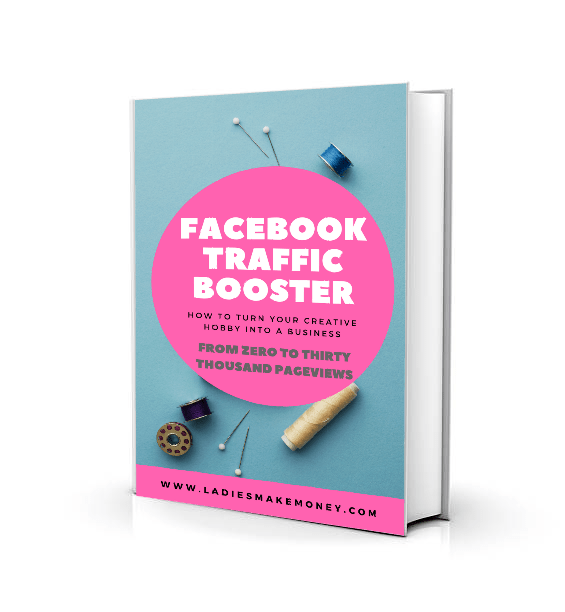 If you are a new blogger or just a blogger struggling with Blog traffic, see how we are using Facebook for Business to increase our blog traffic and income. well, i love those idea! so amazing! great post. just the information i was looking for. i just start my blog and i will be following your advice thank ! Thanks for sharing! 🙂 Pinterest worked pretty well for me – until they did all the recent updates… Oh well. Let’s try some other strategies then! Yes Pinterest is playing games with us for sure! So glad to have come across your blog/post. As a new blogger, I am struggling to get traffic to my blog. I will definitely use more than 1 of your suggestions . Thanks again! Great tips thanks for sharing. I really need to step up my pinterest game! Yes. Pinterest is the way. This is a great list of places to submit your latest post. Yes I forgot about Google plus! Thanks! yes the paid version has me on the fence too! Thanks for the information! I will start implementing them for my blogs. This was extremely helpful. I have been quite reluctant on Pinterest. I guess it is because of the amount of work and hectic procedure needed to join groups. But I think it is worth the hustle and I am definitely going to start joining various pinterest groups. This is filled with SO much great info!! Thank you for taking the time to gather this information and write this out! I so want to do this. I need a private coaching because I cannot understand moat of the things you have written. I have requested to joing your group in FB. I am so bad at Pinterest but I really want to learn to grow traffic on my blog. Hope you can teach me. Absolutely! It’s all about pinning! Pinterest is awesome for setting and forgetting! Use an automated system! I’ve bookmarked this page! Such great tips – I needed that! Thank you so much for sharing! Great tips! FB groups have been my savior giving me consistent traffic even when my promoting doesn’t always work out well. Practical tips. Yes, the best of posts if not read is really a shameful waste. Hence promoting the blog posts is required. Completely agree. I think promotion of your blog is extremely important! I already do almost all of those except for sharing my posts with people I mention on my blog. That is a big DUH! I am going to start doing that. Thank you! Yes its so HUGE! You will get so much traffic! Great tips, I am new to blogging some of the questions I had you answered, thank you for sharing. Very useful post! Great list for better traffic on your blog! What a thorough list! I’ve been doing most of these things lately, and gosh do I wish I had started sooner! Engagement with your readers is key. Haha! It’s always good to start at any point! Pinterest groups and pinterest have been so helpful for my blog. Yes I am loving them. I started using them more this year. Great tips! I recently added Flipboard to my to-do list. I will have to check out the others you mentioned as well. I am glad you are giving them a try! Flip board is great. These are great tips. A few of them I do regularly but a few I have either forgotten about or haven’t taken the time to learn more about. I appreciate the reminder and the resources to get back on track! These are really great ideas. I have been reluctant to join stumbleupon but I am joining right now. You should join for sure! Pinterest is my favorite! I’ll definitely check out your group board. Sounds like fun. Some great tips! I love Pinterest, so I’ll definitely be checking out your group board. Thanks so much for setting it up! Thanks for the tips. I already do a few of them, but not all. I’m bookmarking this page so I can keep it in my arsenal of Internet Marketing stuff. Such a great list! Pinterest and Facebook groups have been SO helpful for me in gaining new readers and page views. I also make it a priority to comment on other blogs and share to social media. I need to go back to using StumbleUpon because I used to get so much traffic from there, but I somehow stopped using it haha Google+ though has always been the biggest waste of time. I used to use it maybe a year ago and I was spending way more time and effort on it than necessary. So I’ve dropped that one completely. I use to only share my post. In fact it is automated once I hit publish. I don’t even log in! These are awesome tip. I have definitely found some valuable tips to work with. I’m always looking for ways to promote log posts. Some of these I’ve been doing, but some are new to me. Thanks for sharing. Love the tips about sharing to various Social Bookmarking sites. Many of them I haven’t heard of before and will be looking into them. Thanks for the advice! You are welcome LeAnn, glad you found it helpful! I need to work on some of these, but have been doing probably around half of them already. Thanks for the tips! Fantastic Bonnie, this means you are on the right track! You are welcome Aeryn, thanks for stopping by! Great tips! I do a lot of this already, but I could definitely be better about promoting my own material through social media. I don’t use Twitter nearly as much as I should and I tend to use Instagram for my photography only. Still working on utilizing it as a tool to promote my blog! If done well, Instagram can bring you lot’s of sign-ups and traffic to your website.